The birth of a baby brings the mother a lot of trouble. A new experience and quite different duties. From the outside world of a working adult female goes into the small and cosy world of household chores. And before to devote himself to a newborn baby, the mother will need to properly execute the documents at their place of work. You must first write a letter to the head of in which you are asking for leave to care for a child. In text, indicate the duration of the vacation. It may continue until the child reaches one and a half years or until the age of three. Date of writing the application must be the first day following the end of sick leave and maternity leave. The statement shall be attached a copy of the birth certificate of the child. You will need it in the personnel Department for personal Affairs. Another copy of the birth certificate of the child must submit to the accounting Department. The accountant fills in the application for a reduction of income tax in relation dependent. women who receive their wages in hand, must attach a copy of a passbook, which lists the benefits. Women who have a payroll card, transfers will be made on this card. Some employers include additional payments in connection with the birth of a child. These payments carry out trade Union organizations. You will need to write the corresponding application addressed to the head of the Union. A woman has a right to terminate leave to care for a child regardless of what term was specified in the statement. This should in advance notify the employer (not less than 2 weeks before the intended return to work). A statement to receive benefits for child care and a lump sum must be written not later than 6 months after the end of sick leave and maternity leave. If a woman before the birth of child worked in several places, she is entitled to child benefit in each of these institutions. The application for leave to care for a child, you can write in advance and leave in the personnel Department. Each expectant mother is based on generic money. They include benefits for pregnancy and childbirth, as well as a lump sum at birth of the child. Allowance is granted on the basis of a medical certificate, which is issued in the antenatal clinic at the place of observation pregnant. The allowance is determined on the basis of average earnings over the last two years, and is 100 percent from him. This benefit is calculated for 140 days (70 days before and 70 days after childbirth), if the woman expected one child. In the case of multiple pregnancy the number of days is increased to 194 (84 days before and 110 after birth). The allowance for pregnancy and childbirth women workers were. If the expectant mother continues to work during vacations and maternity leave, the benefit is not granted to her. Most women still have this right and go on vacation. The benefit thus accrued no later than 10 days from the date of submission of the certificate of incapacity. Together with the benefit of maternity leave may be paid the allowance for statement on the account on early terms of pregnancy. Currently, it is 438 roubles. To get it you need to take in prenatal appropriate certificate and attach it to the certificate of incapacity. Non-working women the benefit is calculated on the basis of minimum size. To receive you need to contact the social security authorities of the population by place of residence. Lump-sum allowance at birth of child working women is also issued through the employer. You will need to provide the birth certificate of the child, a certificate from the other parent that the allowance he was not accrued, and to write the corresponding application. 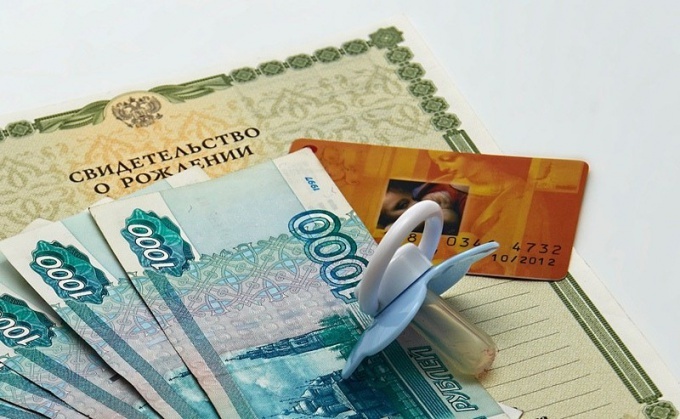 Since 2011, the amount of the lump sum is 11 703 of the ruble. You can get it for 6 months since the advent of the baby born. Lump-sum benefit for birth of a child is granted to one of parents or the person who replaces him. 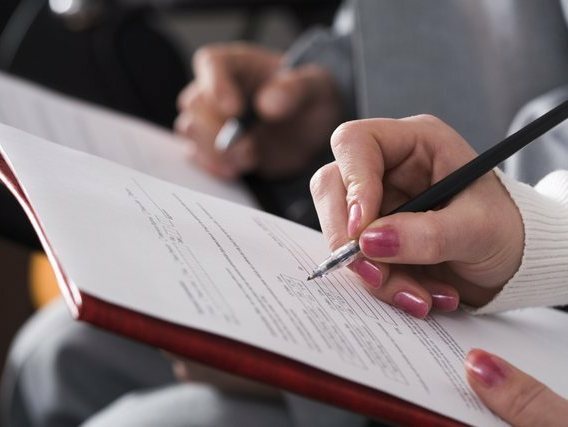 It is necessary to register a child in the civil registry office in the prescribed manner and then apply for benefits at the place of work or in Regional management of social protection of the population (RUSZN). Collect the documents required for obtaining a lump sum on the birth of a child. Working citizens of the Russian Federation apply, the certificate and the certificate of birth of the child according to form No. 24. If this second parent, if it also works, must submit a certificate of employment stating that he did not receive benefits. Ask for a lump-sum allowancem at work one of the parents. The application must be submitted within six months from the date of birth of the child. Payment to be made no later than 10 days after submission of all documents. In parallel with the documents for a lump-sum benefit , the parent has the right to submit an application to receive employer financial aid. It should be noted that if this payment exceeds 50 thousand roubles, it is necessary to calculate the amount of tax on income of individuals. Make the extract from the labor book, military card, diploma, or other document which confirms the lack of work the child's parents. This must be done in that case, if both parents are unemployed. One of them is necessary to the body of social protection of the population a certificate stating that he had not received child benefit. Refer to these documents and a statement in RUSZN at the place of residence. Get in the Dean's office a certificate stating that you are in full-time education and has not received a lump sum payment. This is necessary if both parents are students. For payment of benefits should contact the school. Please contact the Registrar at the place of registration of a child to get help No. 25, which explains the inclusion in the certificate of birth data of the child's father. This document is necessary to obtain a lump sum single mothers. Mother and baby were discharged from the hospital. Now the good points: the baby is in bed and sleeping peacefully... And for the parents it is a tough time. And one aspect of this time – production of documents. At discharge from the hospital my mother gets in the hands of three documents: card mothers card birth certificate, proof of child's birth. Map mothers should be referred to the clinic local therapist, pass – by place of work or to the clinic for the calculation of benefits. And with the help of the child's birth go to the registry office. At the registry office you will be given a birth certificate of the child. This tightening is not necessary: the certificate is valid for 30 days. But you, in addition to the certificate, you need to do a lot of other documents. In the registry office fill out an application, provide copies of parents ' passports and certificate of marriage for entering information about the father. The request must be signed by at least one of the parents. Usually the witness doing during the day. Next, make a registration. With the evidence and the passport of one of parents go to the local housing office. Registration is usually a few days. Upon receipt of the certificate of registration will ask for at least 3 references of family members. Will come in handy. One of the references together with a package of other documents must be submitted to the Department of education to provide a place in kindergarten. With the second help dad have to go to work – he will provide a tax deduction for the child. If you have a large family, the third reference go to the social security office – you must recalculate the rent and provide a number of other benefits. Ibid ordered SNILS. Next, make INN. It can be ordered in the tax inspection (package of necessary documents is usually the standard: passport, birth certificate, marriage certificate, parents ' INN) or the Multifunctional centre for social services to the population. After receipt of these documents is assigned to the child citizenship. This procedure is simplified. The Department of Federal migration service you provide birth certificate of the child registration certificate, the passport of the parents. Within 7 working days the staff of the FMS in your passport to affix the stamp, and information about the child is entered into their database. Finally, we order a medical insurance policy. Despite the fact that infants of this policy, there is support for the policy of the mother. But to get free medicines and baby food will need it. The policy can be issued in any clinic, not necessarily the place of residence or in private accredited insurance companies. After the order policy you will be given a certificate which you are required to serve. Policy normally do for about a month. You will need: a passport of one of parents with a residence permit and mark the presence of the child and the birth certificate of the child. The birth of a child entitled to a lump sum has a parent or his substitute. His appointment is made upon the appeal no later than six months from the date of birth of the child. If children are born two or more of this type of benefit is paid for each child. documents from the registry office about a birth of the child. Provide to the regional Department of social insurance Fund of the documents, giving the right to receive a lump sum payment on the birth or adoption of a child. A statement of the purpose of the payment you will be asked to fill in the office of the FSS directly at the time of registration. Need help – on the birth of a child, issued by the Registrar, and the document of employment of the other parent confirming that the manual he was not appointed. If assignment of payment is carried out by the authority of social protection of the population, will need an extract from a military card, employment record, other proof of last place of study or work. Please be a extract from the decision about establishment of guardianship over the child, if they are surrogate parents face. You may need a copy of an identity document, where there is a mark on the issuance of residence permit or copy of the certificate of the refugee. When applying for benefits at the place of residence, actual residence will require a certificate from the social protection agencies at the place of residence that benefit was not imposed and paid. All documents are available for review attach copies. The documents can be sent to the FSS in the mail. Persons without jobs, can apply for payment to the social insurance Fund at the place of stay and residence; in some cases the design is available in MFC or online. If the benefit for the birth of the child will be made at the place of work of one of the parents, the documents are usually established by the employer. Most often it consists of the application, birth certificate, reference about not receiving benefits and the other parent's place of work or in Fund of social insurance by place of residence. This type of benefit is most often paid not later than ten days after the date of registration of the application. Lump-sum payment at birth of a child assign and pay to the parent or an equivalent person at the place of employment or work, even if the parent receives military service under the contract or serving in internal Affairs bodies or other similar organizations. If the parents and surrogate parents do not have jobs or are studying full-time at an educational institution, the benefit is granted and paid by social security at the place of residence with one parent. If one parent works and the other not, payment is implemented by the organization-employer. Design for maternity allowance you must provide at the place of work a number of documents. Reference and copies can be made available for review and social services at the place of residence. This is true for unemployed women. If you are a working mom, to obtain the position you maternity allowance please contact the accounting Department or the personnel Department of the company where you are employed. To make money payments and to leave you at 30-week pregnancy. Before this visit the women's clinic, where you will be given sick leave of the established sample. To design maternity allowance write the corresponding application addressed to the head of the organization and provide the accountant or the HR staff sick leave. This is enough to ensure that you could receive a lump sum payment. If necessary, enclose a photocopy of your passport, INN, pension insurance certificate, if for any reason they will not be in your personal business. After the birth of baby grant for a work copy and the original certificate of his birth. Write a statement on providing you a well-deserved holiday from a payment of monthly benefits. The amount of the benefit will depend on your income level over the last 2 calendar years. Payments will begin immediately after the expiration of your sick leave associated with pregnancy and the birth of a baby. If you do not work anywhere, then by law you are only supposed to benefit the care of the baby up to 1.5 years, which you can get immediately after birth of the child if timely contact with the corresponding statement in the one stop shop. Present social worker, the passport, the birth certificate of the baby, the original employment record book, documents confirming your marital status. Also write in the application form. 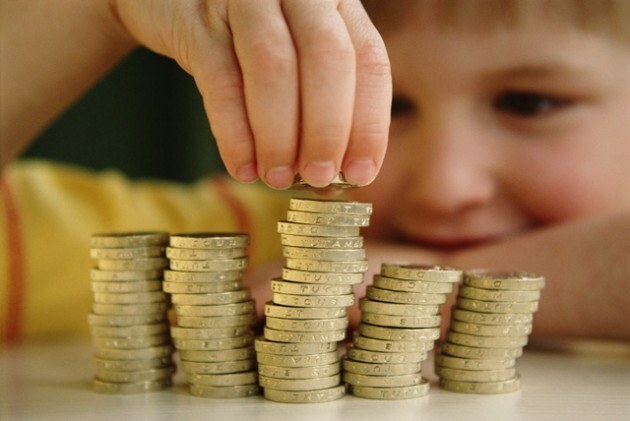 You will be able to get child benefit until they reach 3 years old, if not released for any work. But after 1.5 years the amount of cash payments will be symbolic and will be only 50 rubles per month. If you are married, you may need the passport of the husband and a certificate from the place of his work that he had not received certain types of benefits, which can get either a young mother or father. Submitting documents for the issuance of benefits to care for the baby, write an application to receive regional and Federal lump-sum payments related to the birth of a child.